With a new decade came a new era for the Euros with the sport free of the political wrangling engulfing the Moscow Olympics. Capitalising on an enthralling 1976 European Championship, UEFA finally decided to model the tournament on a similar set up – the World Cup. Eight teams would qualify for the tournament with two groups of four. The winner from those groups would go to the final with one country and four cities in said country hosting all 14 games. This was more like it! After initial interest from a few countries in 1977 both England and Italy applied to host the tournament with the facilities to be able to take on such an event. UEFA were going a little cold on England hosting a tournament with 1966 still only just over a decade ago and the issue of hooliganism now starting to rear its very ugly head all over Europe but especially in England. In the end UEFA unanimously decided that Italy would host its first proper tournament since the 1938 World Cup. This tournament would perhaps be a touch less fascist that in 1938. They also had the first ever mascot for the Euros; Pinocchio. In the qualifiers England topped a rather combustive group that also featured Northern Ireland and the Republic of Ireland when the troubles were at their worst and under former West Ham boss Ron Greenwood went to the tournament with massive momentum. A rather fancied Belgium team also qualified with Scotland blowing it again in that group while Yugoslavia failed to qualify for the first time and the Soviets again missed out. Greece qualified for their first major tournament which only one of the real shocks that was very in with the new and out with the old. The tournament would hopefully break the shackles that had been clamped on international football. Flamboyant attacking brilliance by teams like Holland had given way to defensive negative tactics and win at the any cost skulduggery. What also didn’t help was two points for a win and one for a draw. West Germany were still smarting from their 1976 final loss and loss of their world crown in Argentina and took their frustration on their qualifying group, being the first team to book their place next to Italy. The West Germans had had a complete clear-out since the last Euros with legends like Beckenbauer, Maier and Wimmer all retiring along with the coach ushering in a new team with the likes of Felix Magath, blonde wonderkind Bernd Schuster and Karl-Heinz Rummenigge in a side that was great but lacked any charisma or likability. In Group A the two finalists from 1976 in West Germany and Czechoslovakia would face off again along with the Dutch and Greece. 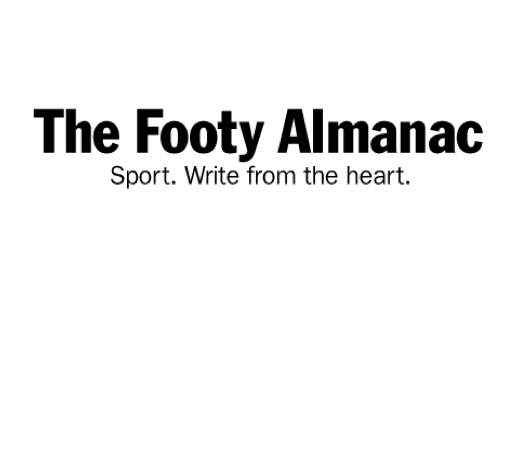 The opener would be between said 1976 finalists with West Germany winning 1-0 in a game that was a shadow of their classic four years ago in Belgrade. The Dutch also won against Greece 1-0. A few days later West Germany faced off with their arch rivals Holland and this was more like the goalfests fans were hoping for even though a poor crowd showed up. The Germans leaped out to a 3-0 lead thanks to another little known striker coming out of nowhere to make an impact. This time it was Klaus Allofs who was the German hero with Schuster setting every goal up. The Dutch clawed them back with two late goals but West Germany held out to win 3-2. The comeback from Holland began with a young Lothar Matthaus coming off the bench and immediately giving a penalty away. Not the best start for the young man. The Czechs did away with Greece 3-1 which put the latter out. In the final group games all West Germany had to do was draw with Greece which is what they did with the result 0-0. The Dutch and Czechs cancelled each other out 1-1 which meant that even if the Germans lost they would still top the group. 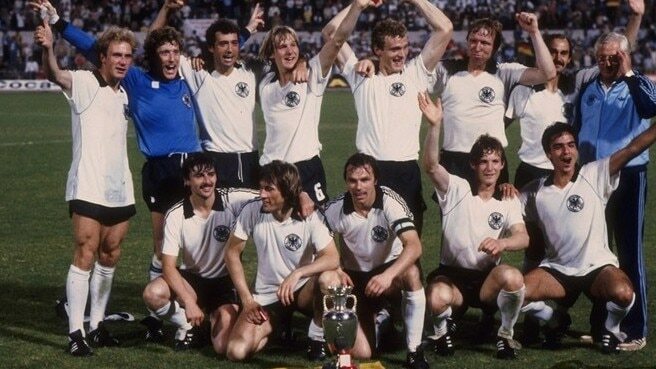 West Germany would be in their third straight European Championships Final. In Group B the hosts Italy were paired with Spain, Belgium and England who had their star man Kevin Keegan finally being able to represent England in something meaningful after two failed attempts at qualifying for the World Cup. In the opening game of the group in Turin hooliganism was unfortunately at the fore between the English and Belgium sides. With the game at 1-1 moments before half time it all kicked off with riot police firing off tear gas in to the English fans and delaying the start to the second half. It ended 1-1. Italy’s opening game at the famous San Siro ended in a drab 0-0 draw against Spain. In the next lot of group games Belgium clicked beating Spain 2-1. This Belgium side under Guy Thys was a special lot much like the Belgium side in current day. Jean-Marie Pfaff was a colossus in goals, Van der Elst was a magnificent striker while there was Cuelemans running the midfield and wonderful Eric Gerets. When the Belgians put together a decent side in between the years of mediocrity it was always a side to behold. In Italy’s second match in Turin they come up against a fired up English side but Mario Tardelli scored late and Italy won 1-0. Tardelli would become famous two years later for his famous goal celebration known as ‘the Tardelli scream’. With the suspended Paolo Rossi they would solve their goal scoring issues and win a memorable World Cup. The final had headlines of David v Goliath in different languages on the back page of most newspapers in Europe. The plucky underdogs Belgium against the stereotype efficiency of the former champions in the Olympic Stadium in Rome which would be hosting it’s second Euros Final. The game was surprisingly open and attacking unlike the rest of the tournament but Belgium played with fire adopting this tactic and were burnt just 10 minutes in when the Hamburg striker Horst ‘The Monster’ Hrubesch scored a rare goal with his feet to make it 1-0. Schuster again the creator in the midfield and his run and skill setting up the goal. At 1-0 down Belgium were in all kinds of trouble as the Germans laid siege to Pfaff’s goal but the charismatic keeper and his teammates kept the favourites at bay until half time and it stayed 1-0. At half time the veteran Belgium captain Julien Cools urged his younger teammates to fight and get back on level terms in what would be his last game for his country. 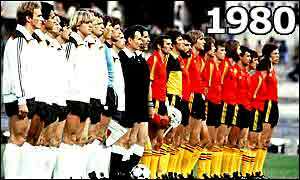 The Belgium midfield kept West Germany honest with Schuster muzzled and the referee erring on the side of caution rather than book every Belgium player that put in a meaty challenge. Time still ticked away though and the score was still 1-0. With 15 Minutes to go Belgium finally got their break. Van der Elst fooled the star Stielike with some tricky footwork when hoping to launch into the penalty area and was fouled right on line. The Romanian referee called the foul as being inside the box and a penalty kick was given. The Germans were raging, Belgium was cautiously optimistic. When the complaints and gesturing from the Germans finally stopped the Club Brugge star Rene Vandereycken had the chance to equalize from the spot in what was beyond a pressure kick. The detested German keeper Schumacher guessed he would go to the right and dived that way with Vandereycken going the other way and nailing the shot. 1-1 – Game on. The Germans wanted the ascendancy back but the game turned in an arm wrestle with Belgium believing they could cause the biggest of all upsets. With a few minutes to go West Germany won a corner. Rummenigge’s corner was sharp and dangerous with Pfaff coming off his line to punch the ball away but was just a touch too slow and the big man Hrubesch headed the ball in to the back of the net with ferocity to make it 2-1 and win it for West Germany. The final minutes went quickly and for the first time a country had won the Euros for the second time. Pfaff was a man who took huge pride in his keeping skills and howled with emotion after the game blaming himself for the loss. For the hero Hrubesch he finally silenced the doubters at home who saw him as a plodding Moose-in-the-Archie-Comics kind of lump and was only in the team because of injuries to others. Hrubesch is still the German national youth coach bringing through the talent that won the the World Cup in 2014. Matthaus made a massive mistake in his first major game for West Germany but would go on to play in three World Cup finals (captaining the winning 1990 side) along with smashing the record for most appearances for West Germany and at the World Cup for anyone along with numerous other accolades. This West German side would become one of the most detested in the years following his triumph. In the World Cup in Spain two years later they would collude with Austria to draw a match to ensure both teams qualified at the expense of Algeria and then Schumacher almost killed a French player shirtfronting Patrick Battiston in a pivotal game. Belgium would be a cult side in the ’80s hanging onto a core of this team and remarkably making the 1986 World Cup semi finals before being defeated by Maradona and the Argentinians. They were the good guys in this battle. Euro ’80 was ambitious but fell flat. Mostly boring matches, crowd violence, poor crowds apart from the Italy games and another West German win. It would be hoped that the next installment in 1984 would be an improvement. GOLDEN BOOT – Klaus Allofs. Only 3 goals scored by Allofs but and they were all in the same game but no one scored more. Allofs would play in the 1986 World Cup Final and also play in France. SACRED COW – Bernd Schuster. The flying little blonde had a wonderful touch and eye for the ball being one of the best in the world by the age of 20. Unfortunately this would be his biggest moment for West Germany falling out with management after moving to Barcelona and then refusing to play a friendly against lowly Albania to be home for the birth of his son. Schuster only played 21 times for West Germany and missed out on the golden period for this side. DUNCE HATS – England look liked they had finally turned the corner after missing out on the 1974 and 1978 World Cups. Under Greenwood, England came into the tournament as a favourite but left at the group stage drawing with Belgium and going down to Italy late. Kevin Keegan was the greatest English player of his generation and only played in one Euros and one World Cup near the end of his career.